From an 1820's Mennonite farm house to a 1940's caboose, there's more than a century of history at Markham Museum & Historic Village. Our 25-acre village is a fascinating journey into the past for all who visit. 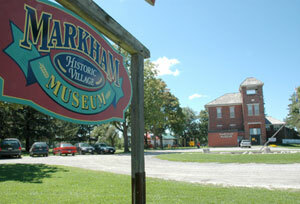 Visit the Markham Museum and see history unfold before your eyes! 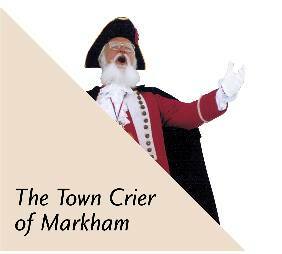 Be a part of Markham's history, visit historic homes, the blacksmith shop, Markham's oldest Baptist church, and the H. Wilson Variety Hall. Or climb aboard the Acadia, a railway car once used by Princess Margaret and other dignitaries. See one of Ontario's finest collections of horsedrawn vehicles and discover why Markham was once the centre for carriage manufacturing in Ontario. We offer a variety of events and exhibitions for the whole family to enjoy including our March Break Extravaganza, Haunted Museum, and our popular Applefest. Hands-on discovery, active inquiry, integrated learning and fun is what you will find in Markham Museum's programmes enhancing the Ontario Curriculum for Social Studies/History and Geography, Science and Technology, Language and the Arts. Located on Markham Road at 16th Avenue, North-West corner.